Hi there! Hopefully we are singing your tune here! 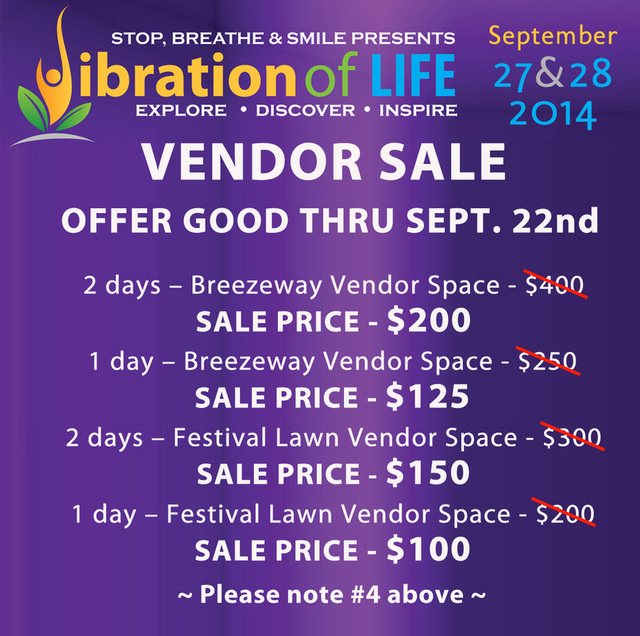 Do you have something you want to sell/share at our next Vibration of Life? This is the place to get 'hooked up'. 1. 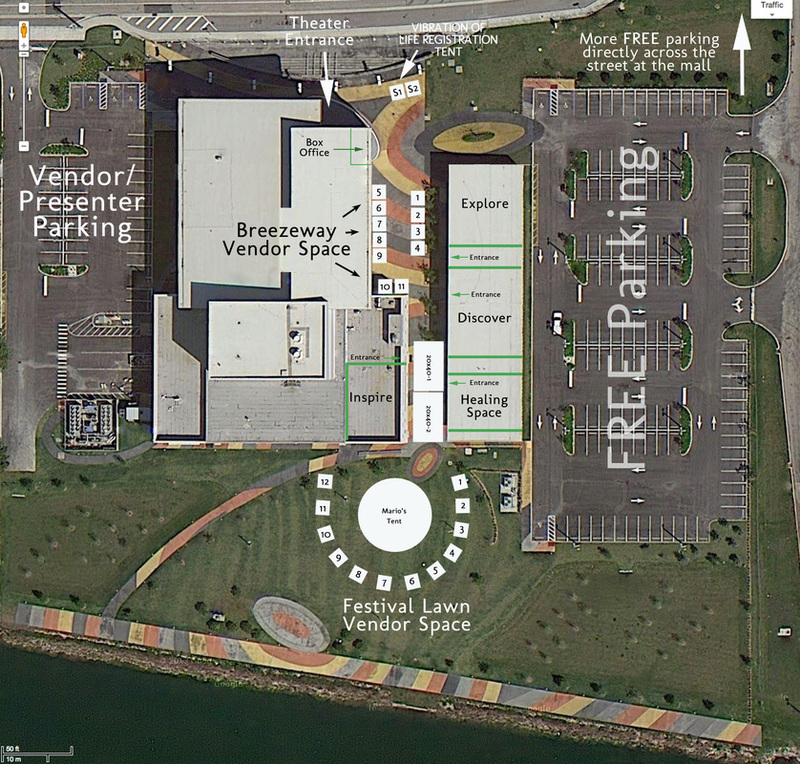 Space is located in the center of activity for both the festival and the concerts. 2. We will be providing you with a 10x10 tent, 1ea. 8’ table and 2 chairs. Tents are placed side by side in the breezeway between the theater and the presentation rooms and on the back lawn. 4. The venue (South Miami-Dade Cultural Arts Center) receives 20% of all sales during the event. This is accomplished each day through an inventory in and out process. We will provide you with the inventory form to fill out prior to your arrival at the festival.